Blowout Sale! Up to 66% off on Pitcher Water Filters at Main Street Deli and Cafe. Top brands include Bunn O Matic, Groen, 3M Water Filtration Products, & Winco. Hurry! Limited time offers. Offers valid only while supplies last. 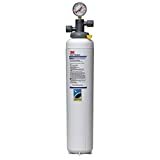 Bunn O Matic EQHP-54 Easy Clear High Performance Water Quality Filtration System, 54000 Gallon -- 1 each. 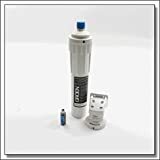 Bunn O Matic EQHP-25 Easy Clear High Performance Water Quality Filtration System, 25000 Gallon -- 1 each.